NETHERLANDS: Railway operator NS and infrastructure manager ProRail have been fined a total of €2.3 million for failing to meet agreed performance targets on the Netherland’s high-speed rail network (HSL) in 2016. 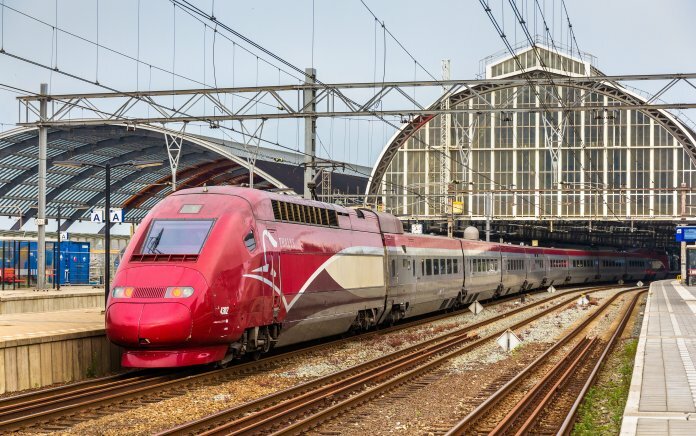 The Dutch Ministry of Infrastructure said that overall the performance of the two firms was improved, with passenger and freight disruptions lower than before, but that HSL remained an ‘Achilles heel’ for them both. NS was fined €1.25 million and warned that it may face competition from another carrier if it doesn’t improve. A target was set by the ministry that 97.5 per cent of NS passengers would get a seat or standing place within 15 minutes of boarding a train but this level was 87.6 per cent last year. Additionally it was agreed that 94 per cent of trains should depart on time whereas this figure was 93.7 per cent. ProRail was fined €1.05 million because both parties were held responsible for failing to meet scheduled arrival times. Overall the ministry said that NS’s performance standards were on the rise thanks to the rolling out of Wi-Fi, improved travel information and increased access for disabled travellers. Meanwhile it was noted that ProRail had improved too, ensuring that its work to maintain the railway network had less of an impact on passengers. Both companies have released statements acknowledging the findings and stating how they are looking to improve.